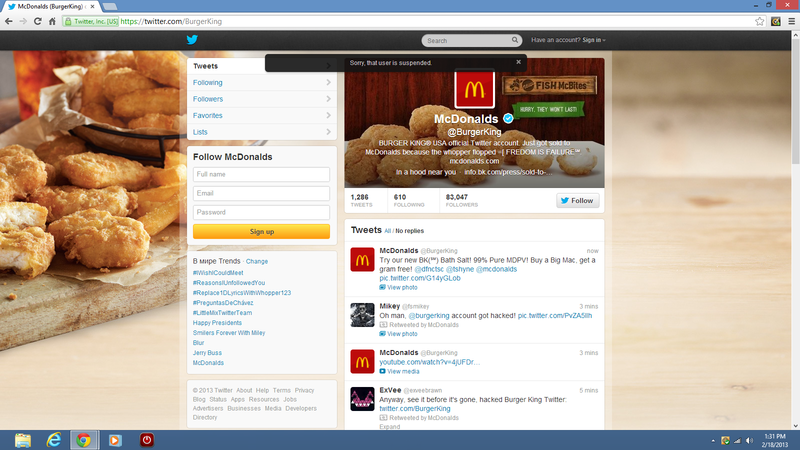 Looks like somebody who loves McDonalds hacked the Burger King Twitter feed. 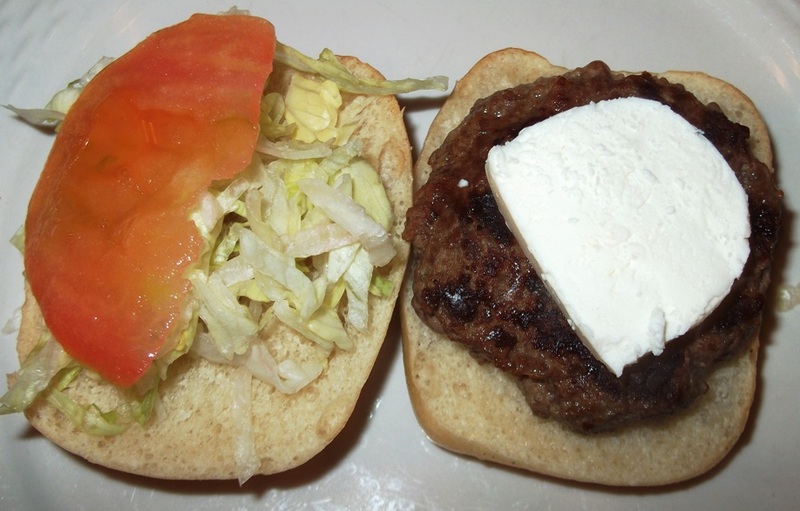 Here is my latest burger recipe…les hamburgers français fantastiques! 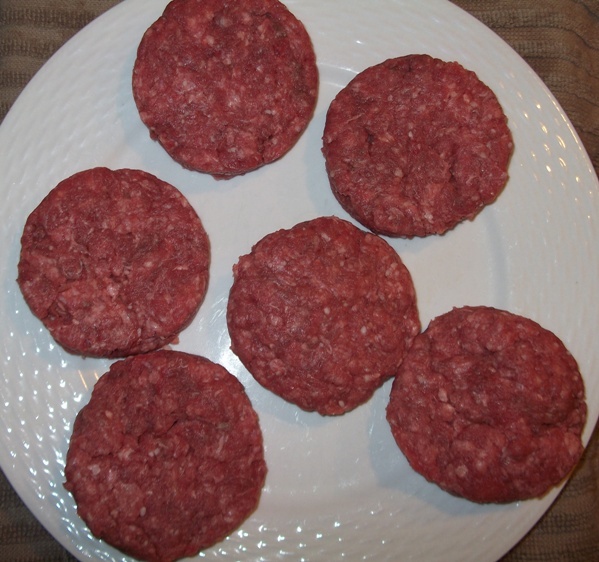 I make my burgers from 50% chuck and 50% sirloin. This is the blend of meat that Alton Brown recommends. I have good success with this mix and I think the results are tasty. Dad bought me a gadget from Kitchen & Company that presses out 1, 2 and 3 oz slider-sized burger patties. (It was definitely worth $3.99!) These burgers are 2 oz patties. I think that is a good size for a slider. 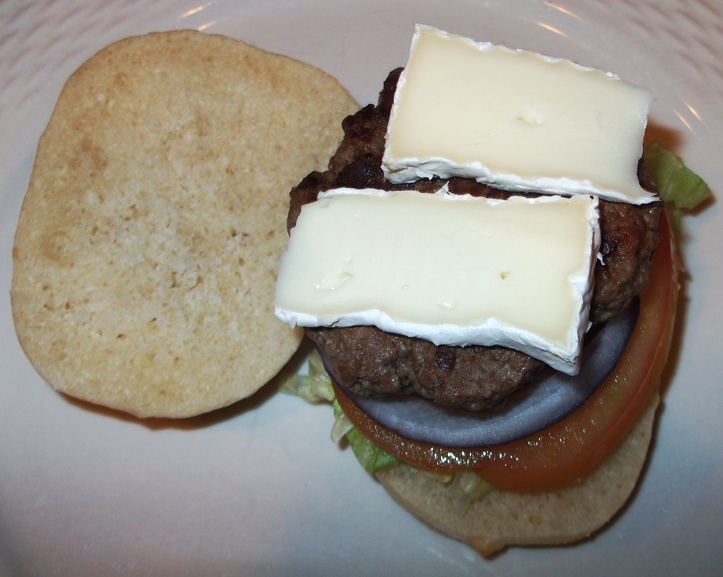 Today I wanted to make French inspired burgers. I decided that I could achieve that by using French cheeses. But which ones should I choose? 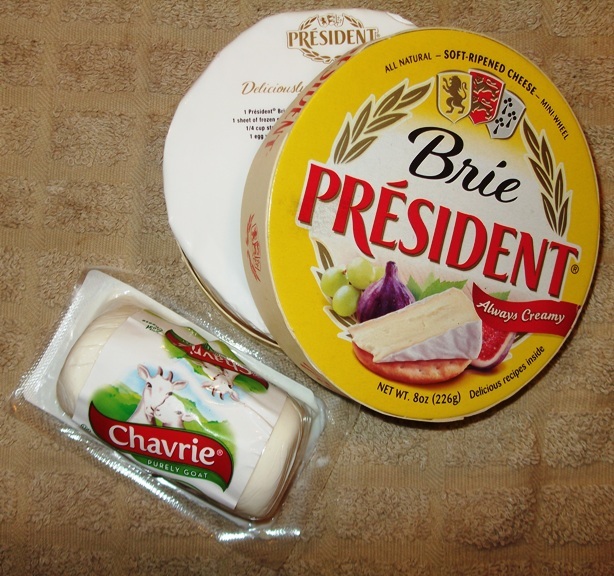 In the end I chose brie (which Dad really likes) and chèvre (which Mom really likes). They are both soft cheeses and I knew that they would melt easily. 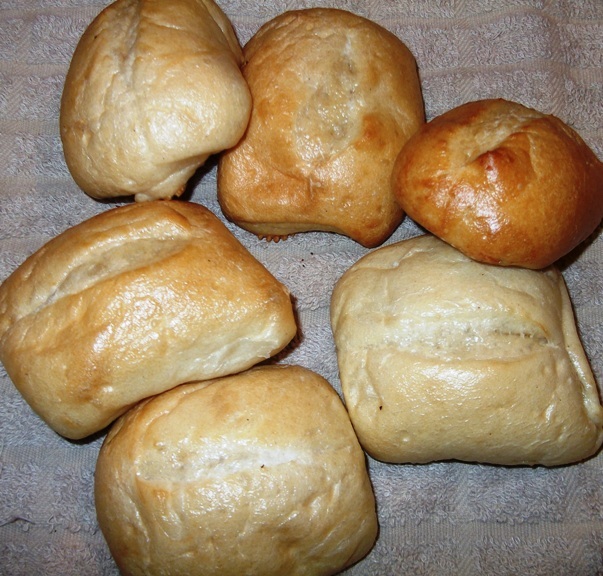 I used French dinner rolls instead of ordinary hamburger buns. These are a more crispy than ordinary buns and have a nice chewy inside. Dad muttered something about le pain rustique, but he’s just showing off. He thinks just because he bakes loaves of bread at home that he can show off like this. But these rolls came in a bag from the grocery store. Dad can’t make rolls that look this good. This is the first slider. It is topped with brie. This is the second slider. It is topped with goat’s cheese.